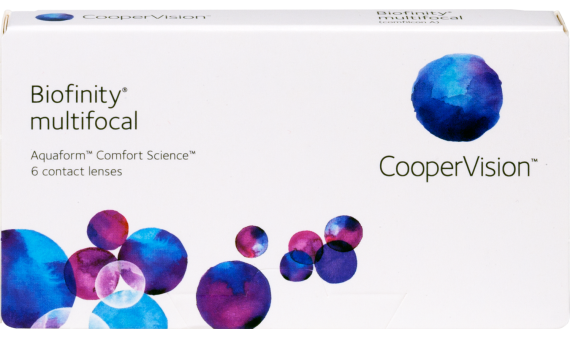 Biofinity® Multifocal is a high-performing, silicone hydrogel monthly lens for people suffering from presbyopia. This lens combines two unique technologies: Aquaform Comfort Science lens material makes for a breathable comfort fit all day long. 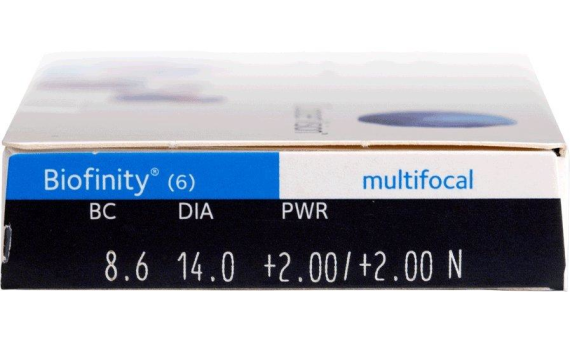 Balanced Progressive Technology multifocal lens design provides excellent, comfortable adjustment at any distance.